What makes raw vegetables taste even better? Vegetable dip, of course. This past weekend we celebrated my mom’s birthday. We all gathered at her house for the occasion and each family brought food to share. I was asked to bring the vegetables and the dip. For some reason that is usually what I bring for all family gatherings, but that is another story. Usually I buy a packet of some kind of dip mix, the ones that you mix in with sour cream or mayonnaise. But this time I decided to make one from scratch. I found one that I liked a lot on Pinterest. 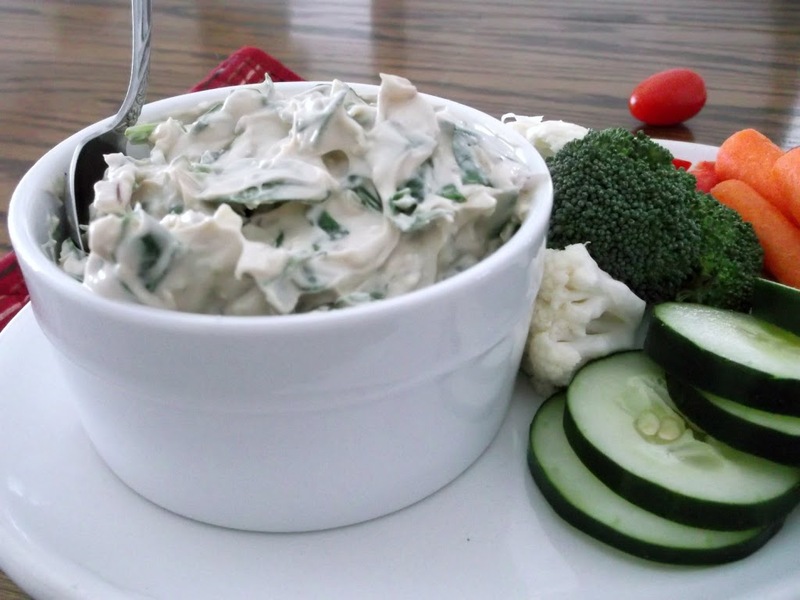 The dip mixes make a tasty dip, but I think that when you make something from scratch you have a tastier dip. The recipe that I used had fresh spinach and that is one of the reasons that I chose this one. 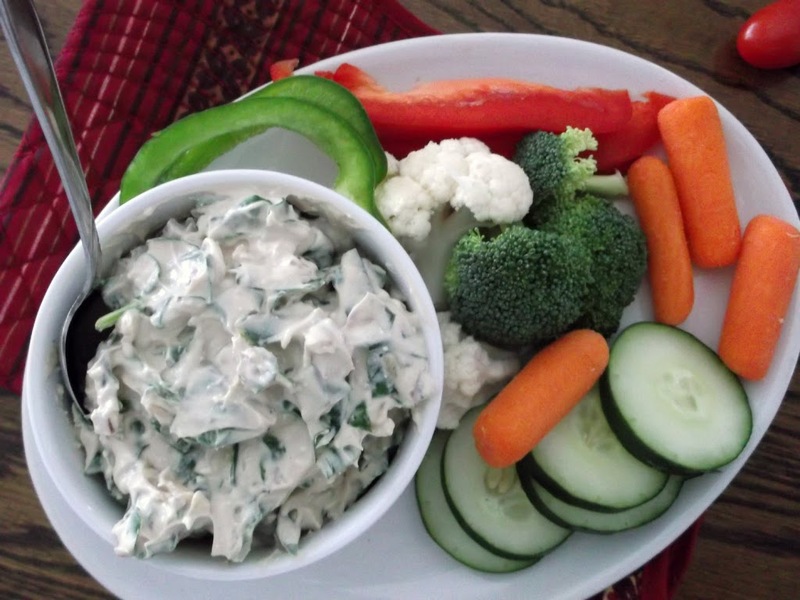 I have had dips that have had frozen spinach in them that were delicious, so I thought fresh spinach would make a dip even better. Which turned out to be so true. Beat sour cream and cream cheese with and electric mixer until blended. Add the onion soup mix, red onion, and garlic and mix together. When all ingredients are well blended, fold in the chopped spinach. Cover and put in the refrigerator. It is best to make the dip a few hours before serving so that the flavors have time to blend together. 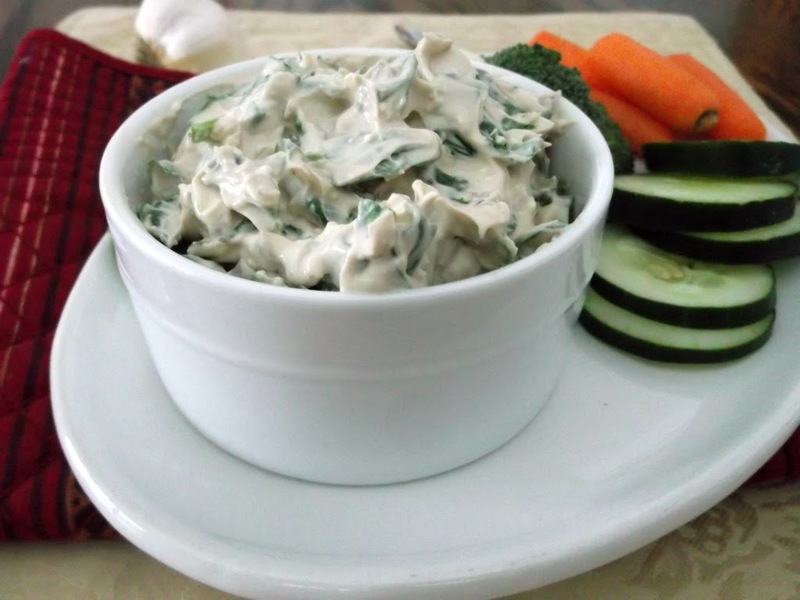 Nice idea to use fresh spinach…this is sure a great dip Dawn. Yum! I could have this with veggies for a meal and be perfectly happy. It looks delicious. Great looking dip! Spinach has so much flavor, and it’s great in a recipe like this. Good stuff – thanks.